2 Has DBKL started harassing soup kitchens again? Making war on the Homeless? Doing a Ku Nan? The canopy fee was introduced under City Hall’s new programme to upgrade the night markets on 1 January 2016. The canopy comes with a free table, apron and table cloth. City Hall to enforce SOP in night markets for management, uniformity. He said the traders were required to use the yellow canopy provided by City Hall to indicate that they were licensed. “We have not fully enforced this but when we do, those without the canopy or licence will be compounded and have their goods and equipment confiscated,” he said. Traders are currently required to purchase the canopy at a 50% discount from City Hall when they apply for or renew the licence. The canopy, measuring 2m by 2m, is bundled in a set that includes tables, table covers and aprons. Traders in wet goods are charged RM243 for the set and traders in dry goods, RM227.25. Loga said the canopy would be provided free with the licence when the SOP was fully enforced. “Those who have paid for the canopy will be refunded. We will contra the sum they have paid from the licence renewal fee,” he said. “Hopefully, City Hall would have sorted it out and it will be fully enforced by March. Kuala Lumpur lawmakers today demanded that City Hall abolish the canopy fee that was recently imposed on traders at night markets. 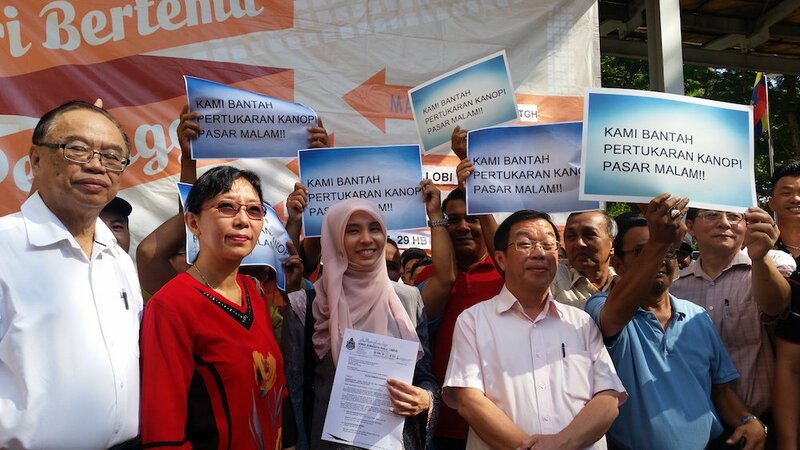 Over 100 traders, led by Lembah Pantai MP Nurul Izzah Anwar, Cheras MP Tan Kok Wai, Seputeh MP Teresa Kok and Bukit Bintang MP Fong Kui Lun, gathered outside City Hall this morning to submit a memorandum objecting to the imposed fees. 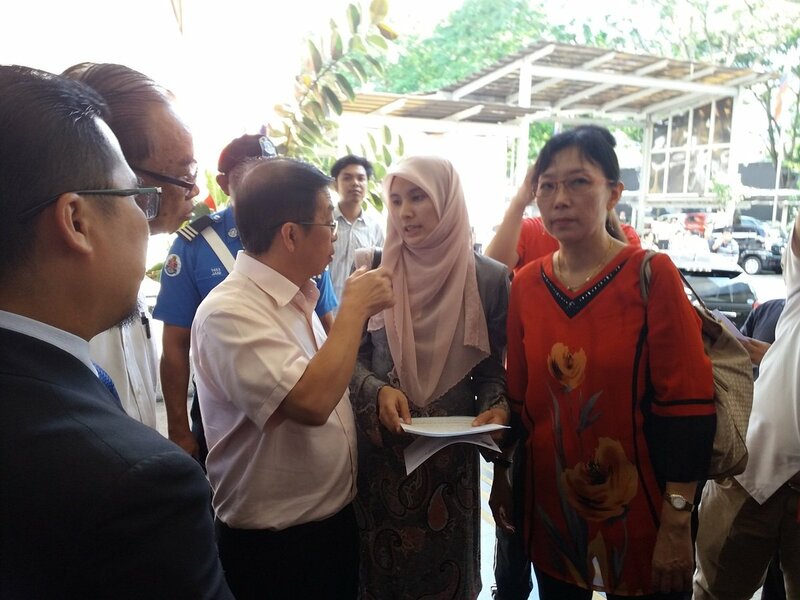 “We wanted to meet with the mayor and Licensing and Petty Trader Management Department director Ibrahim Yusoff, but as they were attending a meeting, we handed the memorandum over to a representative. 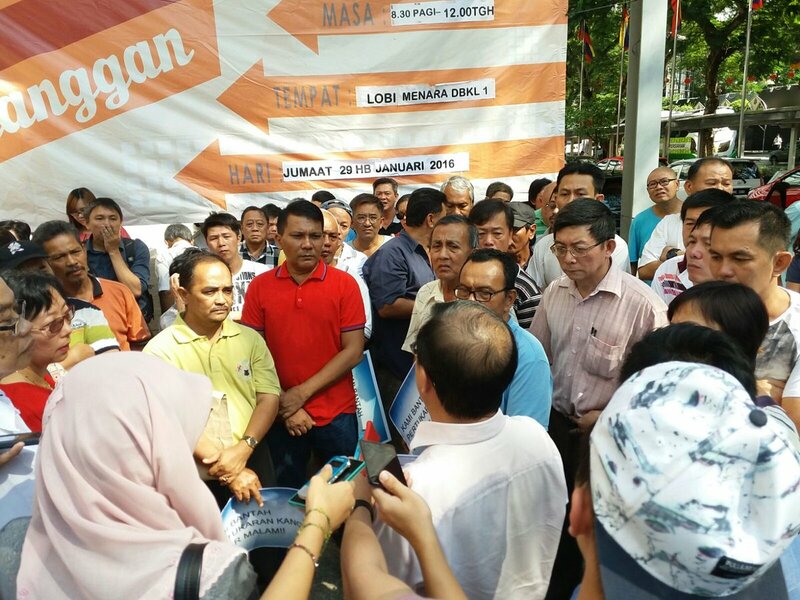 “The representative will relay the traders’ message, which is that they should not have to pay for the canopy,” said Nurul, adding that City Hall needed to respond with an explanation on why the fees were imposed, instead of subsidies or discounts on the fees for the traders. 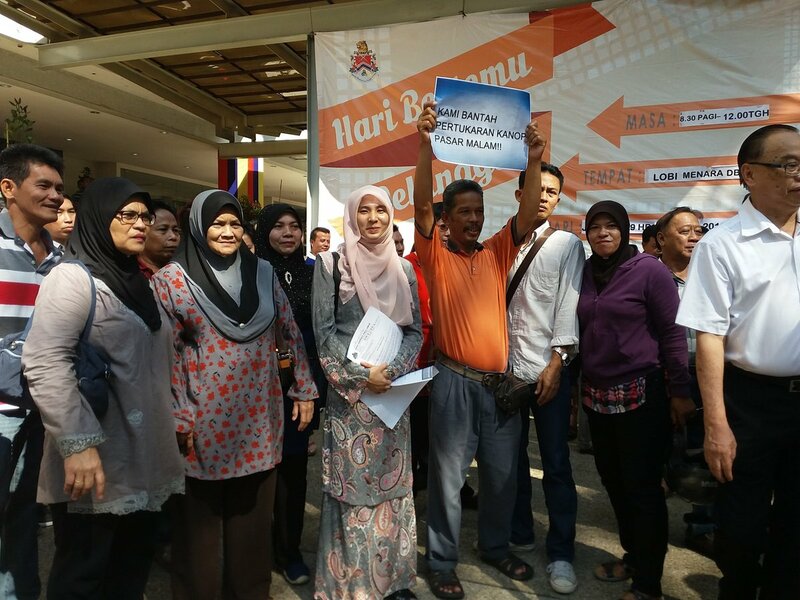 Nurul said City Hall should have informed the MPs before introducing the fee. “I only found out about it when I visited a night market in Kerinchi, where I was informed by the traders,” she said. She said the fee was an added burden on the traders in a time of rising costs of goods. Tan said City Hall should not have stocked up on the canopies and auxiliary equipment. Persatuan Bergerak Kuala Lumpur chairman Lim Suai Chai said the traders had no choice but to pay for the canopy if they wished to renew their licence. “They are forcing it on us. If we want to renew the licence, we will have to pay for the canopy as well. How can they do this?” he said. Cheras trader Charles James Roy said the fee did not make sense as not every trader needed a canopy. “There are those of us who use cars or trucks or even motorcycles. And we already have invested in our own canopies and tables, which will have to go to waste if we are forced to use City Hall’s ” he said. 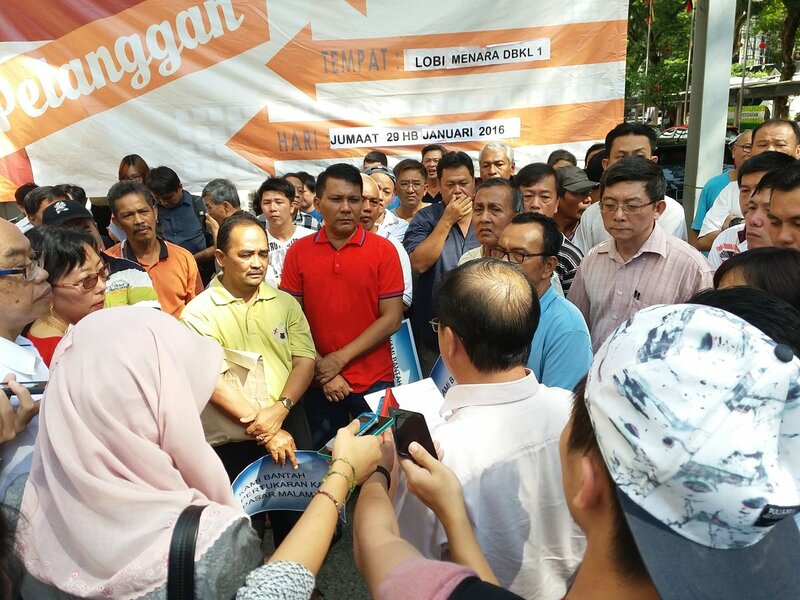 Sesi Penyerahan Memorandum Bantahan Penukaran Kanopi DBKL oleh penjaja dan Pengusaha Pasar Malam. Business is not good. 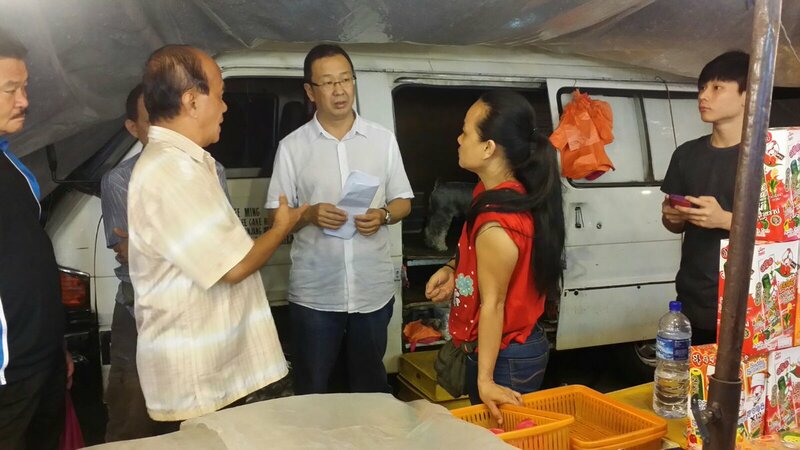 Night market traders complain DBKL wants hawker to buy canopy.DBKL must explain its purpose& the ways to help hawkers. @ Pasar Malam Taman Kok Doh, Batu. Received many complaints on DBKL new policy. This entry was posted in Uncategorized and tagged canopy, DBKL, pasar malam traders object to paying for canopy from dbkl. Bookmark the permalink.